Bits & Scraps Of My Life: Holy Scrap Batman!!!! 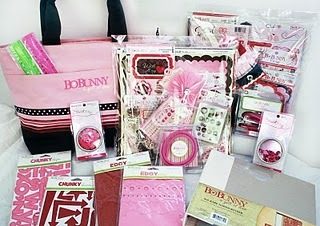 HUGE Bo Bunny Giveaway at Roberts Crafts!! Holy Scrap Batman!!!! HUGE Bo Bunny Giveaway at Roberts Crafts!! And when I say huge I mean HUGEEEEEEE!!! Like worth over $250 kinda huge!!!! WOW! This is a biggy! Thanks for the link! The paper I used on my niece's birthday layout that you asked about is Imaginisce "B-Day Bash"